You are here: Home / LSAT Prep / The Ultimate LSAT Scoring Guide: Should You Keep or Cancel? The Ultimate LSAT Scoring Guide: Should You Keep or Cancel? 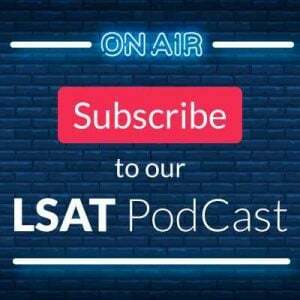 Almost everyone who has taken the LSAT has, at some point after completing the test, looked back on their performance and contemplated canceling their score. Fortunately for most test takers this consideration is brief and never comes to fruition. But, in the same way that you should have a variety of tools for performing well on the LSAT itself, you should also be thoroughly prepared to interpret your performance in the days that follow the test. With that goal in mind, we have composed a comprehensive list of factors (presented in a step-by-step fashion) that should be considered before you make your final decision regarding the fate of your LSAT score. To best implement the following strategy, you should work on self-analysis after every practice test. By analyzing each performance, you can then more confidently make a prediction following the real thing. Your first task upon completing the LSAT should be to write down as much as you can remember about each section of the test. Obviously section order (did you have Games, Reading, or Reasoning in section 1, etc.?) is critical, but so is an understanding of your performance in each section. For instance, try to recall how many questions you were able to analyze and answer in each section, and, consequently, how many questions required a blind guess. Further, attempt to recollect how you felt about the section at the time you were working through it. Which game that you attempted was the most difficult and how do you think you performed? Which game did you find to be the most straightforward and were you able to answer all of the questions? Was there a Reading Comprehension passage that gave you trouble and how significantly did it affect your performance? The purpose of these questions is that they allow you to accurately formulate an idea about the test at the most specific level of analysis possible, rather than attempting to gauge your feelings about the LSAT as a whole (a much more unreliable measure). If there is a single, key piece of advice that you should follow in your post-test analysis, it is that the more specific you can be in your recall of the LSAT, the better suited you will be to make informed decisions regarding your performance and score. If you are unsure as to which section was experimental on the exam, you can often ascertain that information with the right knowledge base. 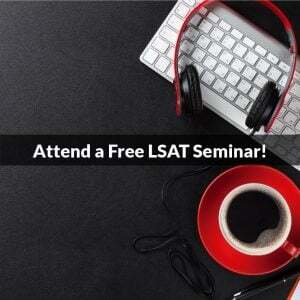 Go to our Free LSAT Help Area – The Experimental Section Explained for more information. Once you have a solid grasp on how you feel you performed in each of the four scored sections, it becomes useful to translate that performance into an actual, numerical score. However, because it is virtually impossible to know the exact number of questions answered correctly in each section, and equally impossible to know the exact scoring scale conversion that will be applied to your test (although this element is much more predictable than the number of correct answers you chose), you should attempt to establish a general scoring range based on what you consider your best- and worst-case scenarios. * We will discuss the conversion of this raw score momentarily. 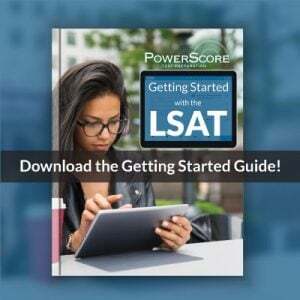 Once you have established both a high-end and a low-end total raw score, the next step is to convert those totals into actual LSAT scores on the 120-180 scale. Again, an element of guesswork is involved here because scales change from test to test. To make as accurate a prediction as possible, go to PowerScore’s Historical Range of Correct Answers for Targeted Scores and compare your high and low raw scores to the average raw scores needed to attain specific scaled scores (note: the chart does not list raw score conversions for scores below 150, so if either your worst-case score or both fall below this number, see step #5). This will provide you with a score range that encompasses nearly all possible scores that you could have achieved. You should also compare your raw scores with those from the past two to three years, as the scoring scales from those tests will most likely be the closest to your test, and can give you with an even more accurate range representation. Remember that the scoring range that you have established is just that, a range. The odds are low that your score will fall at either end. Find the mean score for the range that you have determined and consider that a fair indicator of your actual score. As mentioned previously, one way to assure that you are comfortable with this score assessment approach is to use the best-case/worst-case analysis after every practice test, whether it be a proctored test or a take-home test. By constantly making an assessment of your performance, you will find that your analysis becomes more accurate over time. As a PowerScore student you have one tremendous advantage in analyzing your LSAT performance: experience. Simply put, you have taken this test multiple times, be it in a classroom setting (for the Full-length Course), or on your own, and you know exactly how it feels to score at varying levels. That knowledge can be a powerful tool if used correctly. Consider exactly how you felt upon completion of the actual LSAT and attempt to equate that feeling with a past test you have taken. In other words, if you feel that your performance on the actual LSAT was comparable to your performance on a test you took last week, you can be relatively confident that the scores will be similar. This method becomes all the more effective when combined with a knowledge of your specific score range. Try to recall past tests where you scored within that range, and measure your real LSAT experience accordingly. For example, say your scoring range is anywhere from a 152 to a 160. If the final test you took before the exam resulted in a 155, and you feel marginally better about the officially administered LSAT than you did about that final practice test, you can be reasonably sure that your score is somewhere in the upper-end of your range, say a 157-158. Conversely, if you feel less confident about the actual test than a practice test within your score range, your score will most likely reflect that uncertainty and fall nearer to your worst-case scenario score. At this point you should have a relatively clear picture of what your score is apt to be, or at least a limited range within which your score will probably fall, and this information alone may be enough to establish a course of action. However, for most students, there has never been serious contemplation over what is an acceptable or unacceptable score; the majority of test takers simply try to score as well as possible. This approach, while not entirely without merit, often leaves test takers uncertain of how to interpret their expected score. Once you feel your score predictions are fairly accurate, your next step should be to consider in particular either the specific requirements of the law schools to which you hope to potentially apply/attend, or to examine the law schools where your predicted LSAT score is likely to gain you admission. The best way to do this is via the Law Services website, particularly with their undergraduate GPA and LSAT search function. This service allows you to enter both your undergraduate GPA and your hypothetical LSAT score into their respective fields, and then the search engine categorizes law schools based upon your chances of admission*. Select the various percentile categories to see the schools for which your predicted LSAT score is likely to be sufficient for admission, and where admission seems less likely based upon your GPA and LSAT. If you are content with the percentages given for specific law schools, particularly schools that you are interested in applying to, you are most likely justified in keeping your score and moving forward with the application process. If you are not satisfied with the admissions odds for law schools you are hoping to attend, or if you are discontent with the schools likely to accept your score, it might be suitable to consider retaking the test at a later date (see #6 below). Another valuable source for admissions information is U.S. News & World Report’s annual guide to “America’s Best Graduate Schools.” In it you will find detailed admissions statistics for most** American Bar Association-accredited law schools in the country, as well as a comprehensive ranking of these schools. The survey provides a secondary source (in addition to data available from Law Services) as to the GPA and LSAT scoring ranges typical of accepted applicants at various schools, as well as information regarding percent-acceptance rates, student/faculty ratio, bar passage rates, and post-graduate employment percentiles. When combined with theLSAC data, you can quite accurately predict not only your odds of attending a particular law school based upon your LSAT and GPA, but also how that law school is ranked with respect to the other accredited laws schools nationwide—useful knowledge when evaluating the implications of your LSAT performance. * From Law Services: “Law schools consider many factors in the admission process other than UGPA and LSAT, including letters of recommendation, personal statements, work experience, extracurricular and civic activities, and many others,” and your own odds of admission may vary somewhat from those given. ** The number of schools listed is dependent upon their response to the statistical survey given by U.S. News and World Report, and therefore not all schools are included. If you are still unsure about the decision at hand, or are as yet undecided as to whether it would be more beneficial to retake the test at a later date or proceed with your current, predicted score, it can be of some use to consider the implications of both keeping your score and canceling it. Inherent in these considerations is a basic knowledge of the repercussions of taking multiple LSATs, having a canceled score vs. a prior score on your application, and how rolling admissions and application deadlines are used by many law schools. Let’s start by looking at how law schools evaluate candidates with a canceled score as opposed to those with multiple LSAT scores. A canceled score means very little to an admissions committee. They assess applicants based on numbers, not intangibles, and are not as concerned with a score cancellation (zero concern) as with multiple scores (very-nearly-zero concern). So from that perspective it’s preferable, albeit quite marginally, to have a canceled score followed by a strong performance on a later LSAT, than to have a score that you feel is not indicative of your capabilities followed by a significantly-improved performance at some later date. Hence, ideally you should plan on keeping your score only if you feel it is likely (or at least possible) that it will be a score with which you’ll want to apply; if you know you are retaking the test traditional wisdom suggests you should cancel your original score and start with a relatively clean slate. However, as hinted at above, recent updates to the way in which law schools view multiple scores have made the “cancel versus keep” decision somewhat less obvious. Essentially, schools now consider only your highest score, meaning a lower score followed by a higher one is, in nearly every sense, no different than a cancellation followed by the same, higher score. So this move towards single-score-evaluation means the “penalty” for a lower score—either in terms of judgment or averaging—really no longer exists. Granted, schools will still see your lower score(s), and as such a cancellation is still somewhat preferable, but they won’t hold that lower score against you in the same way they did in years past. An additional element of the admissions process that deserves consideration is the effect of taking later LSATs (and consequently submitting applications later) versus earlier exams, particularly as this applies to rolling admissions. Rolling admission is practiced by many law schools, where candidates are evaluated as their applications come in, as opposed to assessing all applications with respect to one another and choosing the best applicants from the lot. A process like this makes it advantageous to apply early, as later applicants are unlikely to take your position once you have been approved. How significant is this early application deadline? To equate the advantage in terms of LSAT scores, the advantage of applying after the October test compared to applications submitted after the December LSAT is the equivalent of less than 2 points (in other words, if you improve your overall score from October to December by more than 2 points, you have more than negated any advantages rolling admission conveys to an October applicant). The difference in the June and October test dates is even smaller. Where rolling admissions (and admissions deadlines in general) begin to come into play is with the February LSAT. The February LSAT is unique in that some law schools will accept your results from that exam for admission in the fall of the same calendar year, while others will not (meaning you must wait until the following fall to start). None of the other three annual exams allow you to potentially enter law school in the same calendar year. Unfortunately, since it is very school-dependent, the best advice for test takers considering the February exam (either after taking the test at a previous date or as the first time) is to contact specific law schools and inquire as to their policies. Do not be afraid of retaking the exam at a later date, particularly if you feel that you can improve significantly on your initial performance. It may even be worthwhile to wait an additional year to apply if it results in your attending a much more competitive law school, or receiving additional scholarship opportunities. Whatever decision you make, be sure to consider not only how much you could potentially improve, but also the amount of time you are willing to devote to continued preparations, the dangers of keeping a lower-than-desired score versus canceling (again, minimal), and the specific application deadlines and policies of the schools where you plan to apply as they relate to future exam dates. The gravity of your decision to keep or cancel your LSAT scores is undeniable, and this significance, particularly when combined with many students’ natural inclination towards some measure of self-doubt (however slight), frequently overshadows the factual basis on which your decision should be made. Because the LSAT is such an intense and critical experience, it is easy to let emotion and anxiety cloud your judgment and sway you from the correct resolution. That in mind, take a few days (2-3 at least) after the test to put things into their proper perspective. If you have followed the steps previously listed, there should be no fear of “forgetting” how the test went (you have a detailed evaluation performed immediately after the test), and no possibility of other factors coming into play. Hopefully by now you have seen that the ultimate goal of this analysis is to build it on a foundation of tangible, factual elements, rather than sentiment and subjectivity. Taking time to make your decision better allows for the truth of your experience to saturate your judgment and overpower the emotions you no doubt felt upon completing the test. NEVER cancel your score at the test center or on the afternoon of the test (unless something absolutely catastrophic happens during the administration of the test itself—you become ill, fall asleep, have a stroke, give birth, etc.). You have five business days to notify Law Services of your intent to cancel your score and you should use them. At this point you should have an idea of not only how you performed, but also of what the consequences of accepting or rejecting that performance mean to you as a law school applicant. Hopefully you have also taken a few days to put your situation into the proper perspective. The time has come to make your decision. Whatever you decide, have faith that your actions are based largely on a knowledge of what your score will be, and, furthermore, the implications and repercussions of that score in the admissions process. The process that you have gone through is designed to be a scientific one, where fear and doubt are minimized by examining only those elements that are inherently predictable and consistent (the experimental section, past practice test performance, admission statistics, etc.). Take comfort in this fact and be confident that you have chosen the most appropriate course of action given your own unique situation. Good luck and, as always, feel free to contact us if you would like further assistance. Image “Balancing act” courtesy of Quinn Dombrowski.